Drug addicts are posing as potential homebuyers and book house tours in order to get access to medicine cabinets. Of the 150,000 active real estate agents and brokers, close to 38 percent of them say they fear for their personal safety. A new tech firm will mine data to flag the backgrounds of buyers. Imagine if it was part of your job to make appointments with strangers and then go alone to meet them in empty houses. Yet that is a daily routine for the more than 150,000 real estate agents and brokers. Close to 38 percent of them say they fear for their personal safety. Among female agents, the share is closer to half, according to a survey this year by the National Association of Realtors. 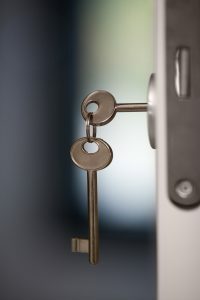 The most common fear-inducing situations are open houses, vacant or model home showings, properties that were unlocked or unsecured, and properties in remote areas. That concern is rising, as seven agents have been murdered between 2011 and 2015, the latest data from the U.S. Bureau of Labor Statistics. Now there is a new danger: drug addicts. The nation’s opioid crisis has put some real estate agents, especially those who represent higher-end properties, in the crosshairs. Addicts are posing as potential homebuyers and booking house tours in order to get access to medicine cabinets. Forewarn, a subsidiary of Cogint, is a new company offering an app that will perform instant background checks on potential clients, akin to a police report. The company says it can instantly analyze billions of data points, using just a client’s name and/or phone number, and mines Cogint’s data, using proprietary algorithms. Cogint already provides similar information to law enforcement, government and insurance carriers. “When you’re talking about potentially opening up access to a home, to an environment where prescription drugs may lie, a medicine cabinet of a house that is listed for sale, with doing no vetting or checking of an individual, I think we’re feeding into that crisis by creating these channels of easy access to drugs,” said James Reilly, CEO of Forewarn. Forewarn says it will only offer its service to licensed real estate agents and real estate companies. The information can be retrieved online or on an app with costs starting at $4 per month for larger companies and $20 per month for individual agents. While just 5 percent of agents report having been attacked on the job, more than half regularly carry a weapon for self-defense, the most popular being pepper spray, firearms and tasers. Some of those are restricted or illegal in major metropolitan markets. While protection is valuable, information is also key. A criminal history is obviously the biggest red flag, yet even just verifying the information a potential clients gives, like an address, vehicle ownership, mortgage and financial history can raise suspicions for an agent. Janice Tisdale, a real estate agent with the Phyllis Browning Co. in San Antonio, was attacked while showing a $750,000 home in December 2010. She was 64 at the time. Tisdale was hit over the head and then held hostage by Emilio Maldonado, a supposed house hunter. “He goes, ‘I need money from you right now.’ And I said, ‘well, I tell you, I have a closing on Monday and it’s a big one so if you can wait until Monday I can get you $4,000,’ and I have no idea why I said that to him, but I was saying anything to him to just go and leave and not kill me,” said Tisdale. After 45 minutes, Tisdale convinced Maldonado to go to his car to get paper for a note. She had told him she’d write a note saying she hadn’t been held hostage. And then she fled and was rescued by a car of teenagers who stopped to help her. Maldonado was arrested soon after and is currently serving 60 years in prison for aggravated robbery. He admitted to being on drugs at the time of the attack. “I guess I always thought I was aware but you never think it’s going to happen to you and it does, it can, and it did,” said Tisdale. Most real estate firms require their agents attend safety training, yet not all run background checks on potential clients. Crye-Leike, a Memphis, Tennessee-based real estate firm with offices throughout the South, is being sued for negligence and wrongful death by the family of an Arkansas real estate broker, Beverly Carter. Carter was murdered in September 2014. Her assailant, who pleaded guilty, said he targeted her because she was rich and because he knew she would be alone. The family claims Crye-Leike did not provide Carter with enough safety training, especially on doing background checks and procedures for meetings with unknown clients. Crye-Leike declined to comment on the suit in response to a request from CNBC and referred inquiries to its attorney.